Native Indian land was not owned by individuals. It could not be sold. Apache land therefore belonged to the whole community. But there were tribal boundaries. Apache land was recognised by the settlement of the tribe within the boundaries of their territory. The Apache are North American Indians of the Southwestern U.S.
Their name comes from a Zuni word meaning “enemy.” The Apache are divided into the Eastern Apache who were mainly hunter gatherers and the Western Apache who were mainly farmers. The Apache people include six traditional Apachean speaking groups called the Chiricahua, Jicarilla, Lipans, Mescalero, Plains Apache, and Western Apache. The Apache Land that was home to the tribe, is indicated on the Southwest Indian Land Map, which was occupied by the Apache before the arrival of the Europeans. The Apache had never experienced the way of the Europeans especially in relation to the subject of Land Ownership. The ownership of Apache land became the source of the bitter conflicts between the white European settlers, the U.S. and the Native American Indians. The Apache Native Americans lived in harmony with the land which was emphasized by the their culture, religion and beliefs. The idea of an individual person having exclusive use of a particular piece of land was completely alien to Native Americans. The Apache fought, as communities, with other tribes over hunting rights to their territory. But the "right" to the land was very different from the legal terms understood by the white settlers relating to individual ownership. The Apache Indians had no concept of "private property," as applied to the land, but were soon to experience this European idea, through the constant encroachment on the tribal territories and Apache land. 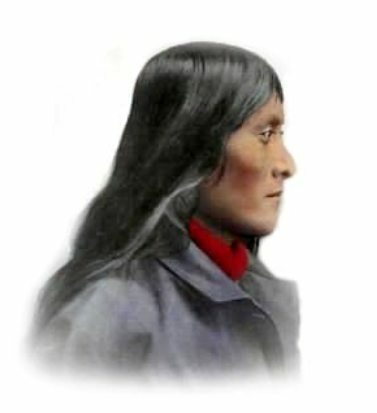 From the late 1500s to the 1800s the Apache fought to stake out their territory and protect it from the Spanish settlers in northern Mexico and New Mexico. The American Indian Wars is the name used in the United States to describe a series of wars, battles and conflicts between American settlers or the U.S. army, and the Native American Indians before and after the American Revolutionary War. The Apache attacked the early settlers who crossed their territory and lands. In 1861 Cochise began the Apache wars. Many Apache surrendered between 1871 and 1873, and were moved to the San Carlos reservation in Arizona. A large number of Apache were led by the Apache leaders Geronimo and Victorio in continuous raids against the European settlers. The Apache conflicts continued until 1886 when the few remaining warriors surrendered. The members of Geronimo's Chiricahua Apaches were taken to Florida and then Alabama, where they were held prisoner. Their imprisonment lasted for twenty-seven years during which time many died of tuberculosis. In 1913 the remaining Chiricahua Apache were allowed to move to Oklahoma or New Mexico. The Dawes General Allotment Act was passed by Congress in 1887 which led to the break up of the large Indian Reservations and the sale of Indian lands, including Apache lands to white settlers.